15 ft. 30 ft. 50 ft. The EWI DMDM patch snake is a specialty 8 channel cable constructed with metal housed, 25 pin male DSUB connectors on each end. 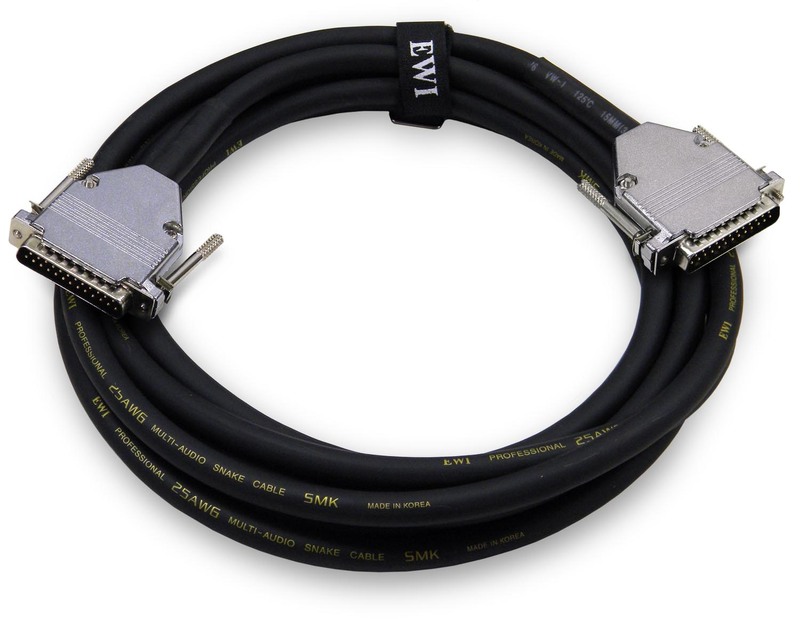 The DMDM snakes are built with EWI SMK series 8 channel cable. 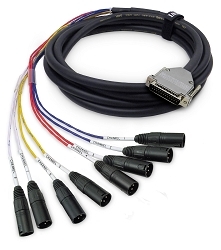 SMK series cable features 99.98% pure 25ga. high strand count copper conductors and individually jacketed pairs shielded by 100% coverage spiral shield on each pair. 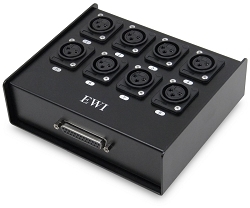 The robust metal shelled 25 pin DSUB connectors are expertly hand assembled with an eye for detail and durability. 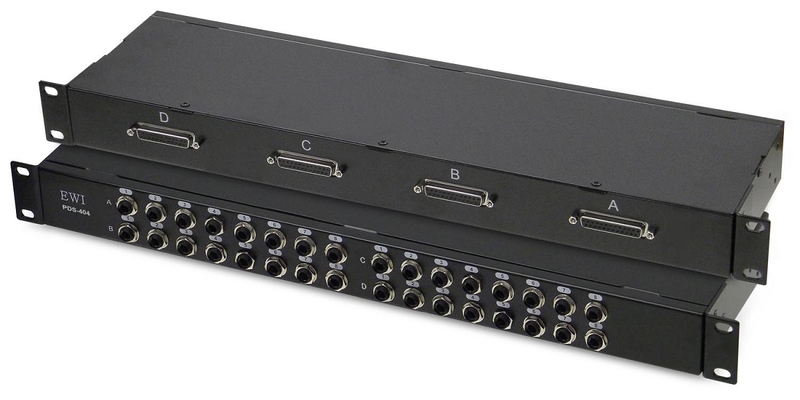 The DSUB-DMDM patch snake can be paired with the EWI DSX-8 stage box or PDS breakout/patchbay to create a compact and configurable drop snake system. DMDM-15: 15 ft, 3 lbs. DMDM-30: 30 ft, 5 lbs. DMDM-50: 50 ft, 9 lbs.